The Wood Warbler is a yellow-green singer, found mainly in deciduous forests with tall trees. In autumn, breeding birds in western Europe migrate to the south. 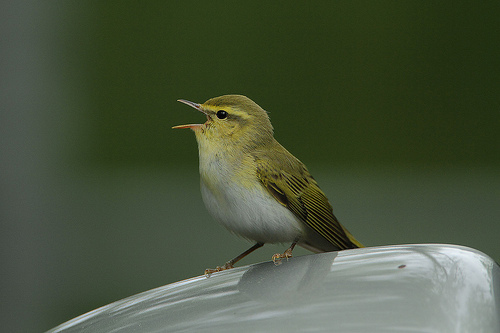 The Willow Warbler has a yellow belly and chest, the Wood Warbler has a white belly. The songs are very different. 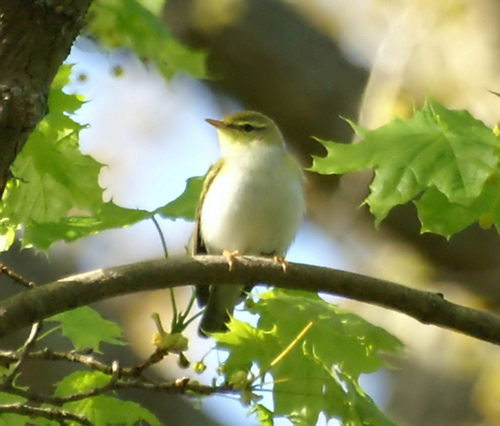 The Wood Warbler has a bright white chest and belly. It has a very different song. The Chiffchaff keeps on repeating its own name, the Wood Warbler has a varied song.